It's been two years since Trump took office, and his Donald Trump's Indian American appointees are still pushing an anti-immigrant, anti-civil rights, anti-Muslim, anti-woman, anti-LGBTQ+, anti-worker agenda. They belong on the 2019 #DesiWallOfShame. Learn the issues. Hold them accountable. Work for justice. Neomi Rao is Trump's "regulatory czar." She killed the Clean Power Plan, censored climate change language, and gutted efforts to close the gender pay gap. And now Trump's appointed her for a lifetime federal judgeship in Brett Kavanaugh's old court. Ajit Pai is the Chair of the Federal Communications Commission. Under his watch, the FCC ended net neutrality, which keeps the internet open, free and accessible to everyone. This harms many communities—including South Asians who rely on multilingual content. 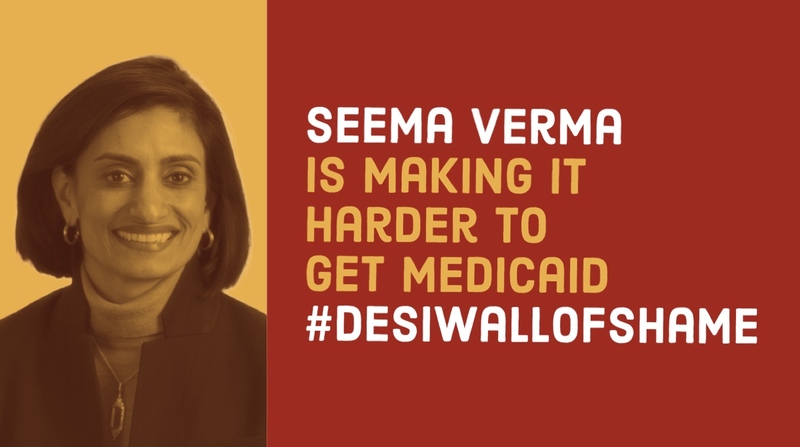 Seema Verma is the Administrator of the Centers for Medicare and Medicaid Services. She has publicly mocked attempts to offer Medicaid for All, and defended work mandates that have dropped healthcare coverage for thousands. Dimple Shah is the Assistant Secretary for International Affairs at the Department of Homeland Security. She has been described as being part of a coalition that takes a “hardline position” on immigration. DHS is responsible for abusive conditions towards women, children, and LGBTQ immigrants placed in detention. Other Desi Trump appointees include Lathika Mary Thomas (DOJ), Neil Chatterjee (FERC), Uttam Dhillon (DEA), and Asheesh Agarwal (Social Security). And who can forget Nikki Haley and Raj Shah? Guys, please don't embarrass us. Who created this? Is everyone Indian? Why shame people? What more? 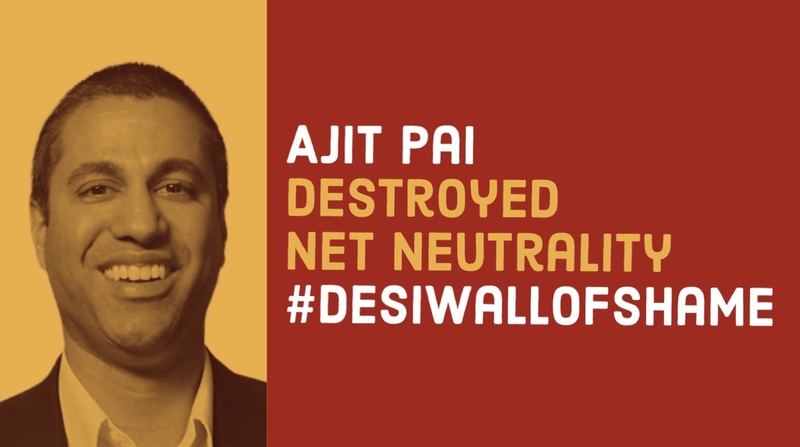 The #DesiWallOfShame hashtag and website grew out of widepread concern about South Asians in the Trump administration pushing anti-immigrant, anti-Muslim, and anti-civil rights policies. See the history of the hashtag to see all the people who were nominated. Is everyone on the list Indian? Everyone on the list is Indian American, most are caste-privileged Hindus, and most are second generation. But they're an embarassment to all South Asians. 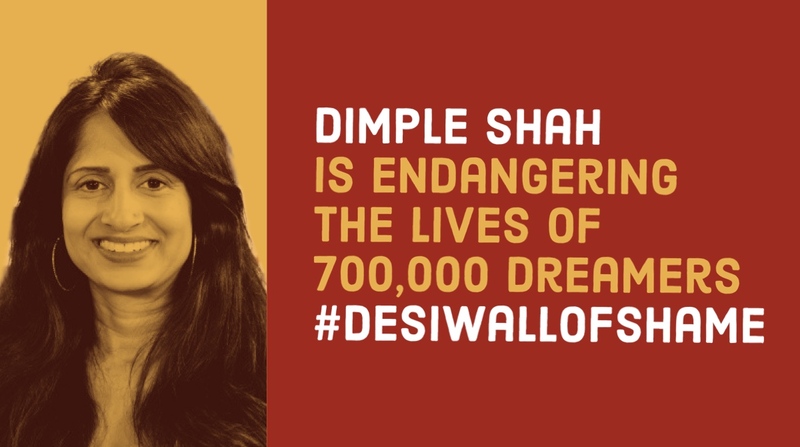 For us, the word “Desi” is a nod to some of the informal connections that many people of the South Asian diaspora have with one another; the word is not a stand-in for “South Asian.” We invite you to use broader or more specific hashtags like #SouthAsianHallOfShame, #IndianWallOfShame, etc. Many South Asians have experienced community-based shaming. But we think killing net neutrality is infinitely more shameful than being unmarried at 30. The people directly responsible for pushing dangerous policies deserve to be held accountable for their choices. 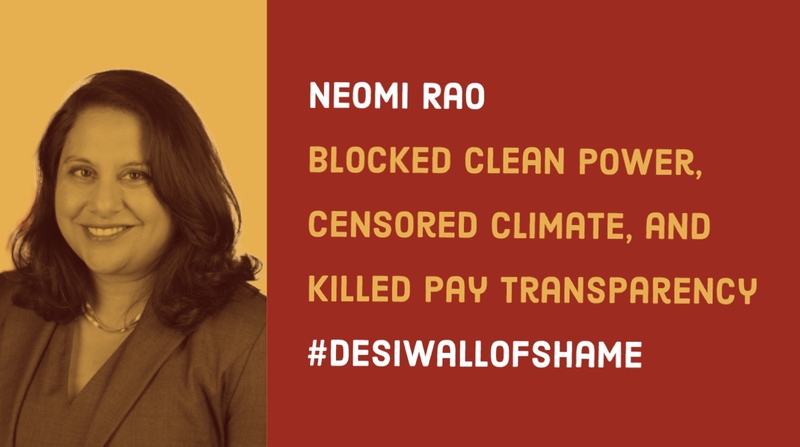 What more can we do beyond the #DesiWallofShame? This is a time for action. We hope you'll learn about issues like net neutrality, immigration, and health access, and take action in your communities. Check out the “Act Now” links above.